A Queen's Park committee dominated by Progressive Conservatives wants former premier Kathleen Wynne, her staff and senior public servants to hand over what could be thousands of documents as part of an investigation into Liberal government finances. The sweeping call for the documents came Thursday morning as the committee kicked off hearings into the $15 billion deficit the PCs say the Liberals left behind. Ford ordered the creation of the committee last week, saying: "We're not going to let Kathleen Wynne and her cronies walk away from their $15-billion scandal." The Progressive Conservative MPPs on the committee want to order some two-dozen people to produce "any and all records, including correspondence and emails, in their custody and control" related to the Liberals' Fair Hydro Plan and the accounting treatment of two provincial pension funds. Those issues were the focus of accounting disputes between the auditor general and the Wynne government, and form the bulk of the difference between the PC and Liberal deficit figures. The PCs are seeking documents from Wynne, former Liberal ministers Charles Sousa, Glenn Thibeault and Liz Sandals, as well as their chiefs of staff and policy advisors. 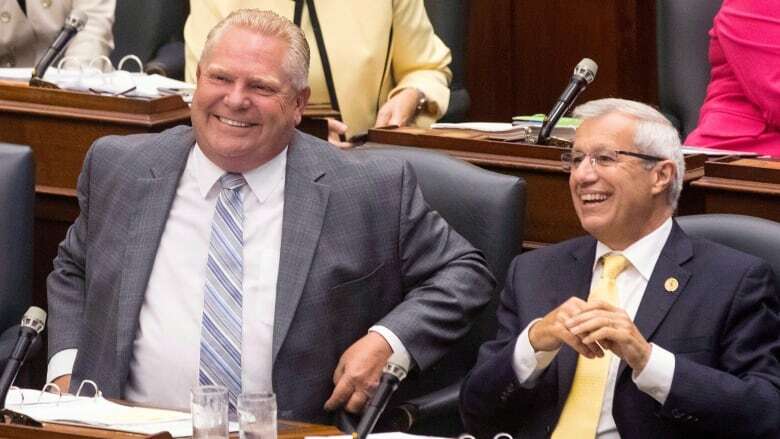 The PCs also want emails from the head of the Ontario Public Service Steve Orsini, and the then-deputy ministers of finance Scott Thompson and energy Serge Imbrogno, who are still employed as deputy ministers, although they were shuffled to other ministries after the Ford government took power. The committee is demanding related documents from Ontario Power Generation, the Independent Electricity System Operator and the provincial agency that regulates hydro prices, the Ontario Energy Board. The committee wants the emails "produced with no relevant information redacted or sealed, regardless of any claim of privilege or confidentiality" and is giving everyone three weeks to comply. NDP leader Andrea Horwath wonders what the committee will actually achieve. 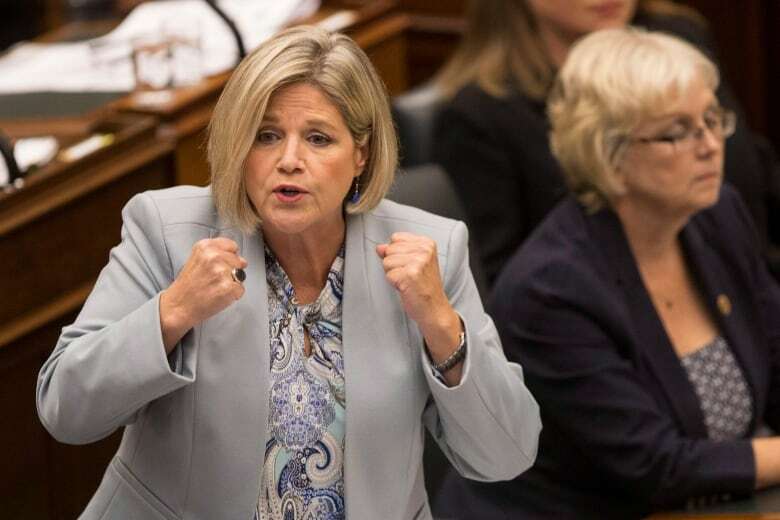 "It looks like it's a bit of a dog and pony show at this point, which I think is totally unfortunate," Horwath told reporters Thursday. It would be "a waste of people's time and ... a shameful abdication of responsibility" if the committee is only about scoring political points against the Liberals, Horwath said. "If we're really going to be serious about getting answers for folks and turning the page around the behaviour that the Liberals had, then we have to take this committee seriously and we haven't seen that serious approach from the government," she said. "People need to get some answers to the questions that we have," Romano told reporters at Queen's Park on Thursday. "There is a $15-billion deficit in this province right now and we need to know what happened." Romano defended the scope of the investigation. "I think it's very relevant question to look at all those people who could have been part of coming up with this particular accounting practice that has led us to have a $15 billion deficit," he said. "I think the people of Ontario would want to know who was responsible." Wynne's former labour minister Kevin Flynn is blasting the committee, saying Ford is "looking for a scapegoat" because he can't deliver on his promises. "This is a witch hunt," Flynn said Thursday on TVO's The Agenda with Steve Paikin. "This is Ontario's Inquisition."